Founded in 2005, Advantech is a progressive shop where the traditional values of quality craftsmanship meet a streamlined, state-of-the art manufacturing process. We possess a broader understanding of the manufacturing process than many shops, from the challenges of initial design through to the consequences that can result if delivered parts are anything less than perfect. We specialize in optimizing part development—what we call Design for Manufacturing. 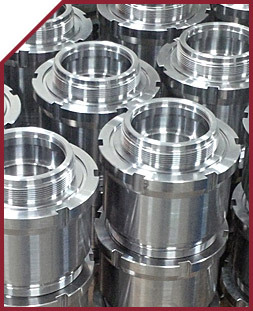 We design (or optimize the existing design of) parts that can be manufactured economically. Whether you require this level of design optimization or your design is ready to go, we offer cost savings resulting from the efficiency of our operations and the quality of our products. With Advantech, you get clearer communication, smoother service, and reliable results.